Even without any knowledge on commerce and economy I always saw this problem coming, I am not bluffing, and I am surprised some are only waking up now. I was in Phuntsholing last winter and had the misfortune of seeing how those four ATMs ran out of cash every hour. Our money was going to India as if Bhutanese economy was suffering from shooting diarrhea. RMA's sudden measure to curb rupee crunch send panic waves across the country; Import business are threatened, constructions sectors are stunned, industries are shocked... and for once I thought out central bank is trying to cut off the neck that pains instead of healing it. Only today, after Dawa's show on BBS I saw the light, the light that should have been shown long ago. But now is not a bad time either. However, this temporary measure, I fear, might cause permanent damage to our trade relation with people in Jaigoan. With Indian businessmen already shying away from Ngultrum I foresee sudden inflation in daily commodities in few days time. I have to gamble on weather I should already fill my kitchen with cartons of milk powder and cooking oil. I have already fueled my car -as if the problem would be solved before I run out of fuel again, and that sort of shortsightedness is prevalent among us Bhutanese. And even the central bank. During the discussion, I didn't hear them talk anything about dollar. But some of us on twitter did a little talk of our own, where we mentioned why not use dollar to buy rupee. The problem is with rupee and we are supposed to have earned good amount of dollar through tourism, why can't we use it? Without taking long term measures the economy diarrhea will never stop, and the current measure is just a radish corked in the bottom, only to build the pressure of outflow after it's been removed. We may have to look at agriculture seriously so that we don't land up importing what we could grow at home. We should revisit our tourism policy and bring some wise reforms. Our daily tariff of $250 scares many potential tourist from coming and spending in our country. Of all the things we pride in so much, hydro power puts me to shame. We counted on it to rain rupee on us but the funny export agreements for 30 years with outrageously low tariff would making any difference to our economy during our time. By the time we have full ownership the walls of the dam may fall apart and new projects may have to begin again- followed by new agreements. Last winter's news of importing power from India shocked me 440 volts full. The only two options we could play with are agriculture and tourism: Agriculture for controlling import and tourism for building economy. I like your writings such as let mother be constant, father be variable, and solve the equation of a child. But in this Rupee issue, you would risk shooting in the dark as Rupee crisis is more than a child's equation. Government is "micro-managing macro policies" and that's where it is going wrong. Moreover, it is a man-made disaster (or rather politically created disaster through political capture). Government should be managing Fiscal Policy, not Monetary Policy. When Government manages Monetary Policy through Political Capture (Read: Governor as political appointment rather than appointing an economist), this is what happens - it is called "Killing the goose that lays golden eggs" rather than managing to have golden eggs properly. Or its Bhutanese version would be "Killing the red cow that gives good milk and eat it as meat." One more thing: Someone needs to give a closer look at our trade statistics and see which SINGLE billionaire business overtook tourism in terms of export and even almost caught up with hydro-power as one of the biggest exporters to Hong Kong or wherever earning huge dollars (Hint: a software company) - my hypothesis is since this business is a fake business (though legitimate through Government's political capture again), billions of rupees from our reserve must have gone to India, and no one raised the siren when we have political appointment in Central Bank. Did someone say Central Bank has to be "independent" of the Government? Yes, you got it right! Did someone say Government should manage Fiscal Policy better and not crowd out private investment? Yes, you got it right too! Did someone say how one SINGLE superficial business is messing up our macro policies and even screwing up our GDP per capita calculation (Rest of us are artificially made richer due to one or two families' huge income effect)? Yes, it is! It's time our generation wakes up and refuses to be the Silent Generation. Nima, they way I understood is probably the way 90 percent of Bhutanese would understand it, In very simple and non-technical terms. However, ignorance is no more bliss and there is no efforts made in taking us out of the dark until in such times. Thank you for the comment but I am scared you are telling me that problem is far deeper than it looks? see which SINGLE billionaire business overtook tourism in terms of export ?????????????????? Passu, the RMA has already sold US$200m earlier this year from Bhutan's foreign reserves to clear debt (as of last official available figures, the current level of reserves is less than US$700m). On top of that, RMA has just borrowed 8bn rupees at 10% interest per year. 10 percent, at a time where interest rates are near all-time lows around the world (the US Federal Reserve short-term rates are at close to 0 for the past few years and will continue to do so for at least another 2 years) is very telling. Your country simply does not have the depth of reserves to buy more rupees without losing a critical buffer against the normal ebbs and flows of the economy. At current levels, your country reserves already barely covers the constitutional requirement of 12 months worth of imports. And we haven't even talked about the current size of external debt and the amount that Bhutan spends yearly on servicing these loans. Use tourist dollars to buy rupee? Sorry, receipts from tourism totaled US$35m in 2010, while interest payments alone (excluding principal repayments) on external debt came to US$46.8m. Nima is right in that someone should go look at the trade statistics, so should he. If he did, he will realise that Bhutan's trade deficit with India alone has *tripled* in the last fiscal year, to the tune of Nu 15.2bn. The only reason why Bhutan has not collapsed is the Nu9.3bn in grant money from GOI. Also, I'm curious what has "almost caught up with hydro-power as one of the biggest exporters"? Power make up 35.5% of exports, Ferro-alloys 19.5%, and "Recorded or Unrecorded media" a distant 3rd at 7.3%. Go look at RMA's Annual Report for 2010-2011. The document is very insightful. Most of the financials I've quoted so far came from there. I'm not an economics expert. In fact, I only have high-school level economics but RMA's report is fairly straight-forward and you don't need a degree in economics to make sense of it. You just need to take the time and effort to read it carefully. In short non-technical terms, Bhutan has been living off borrowed time (and obviously, also a lot of borrowed money). Your country is spending far greater than it earns, banking on the generosity of donors and very expensive loans. The worse thing is that many of the things that you're buying does not increase your capacity to earn more in the future. A simple example are cars. A car, unless used for business, is a flat-out expense. In fact, it is a long-term expense because you need to service the interest on the loan you took to buy the car, and on-top of that, you need to pay for petrol, insurance and maintenance. And here's the kicker, years later, after paying thousands in interest and repaying your loan, the car is worth a fraction of what you paid due to depreciation. People *should* worry about their harvests, they should *worry* if there are no buyers. Farming is the livelihood for 65% of your population, yet you describe farming as if it were a hobby for your fellow citizens. Last year, like all the years before that, the agricultural sector is a continual laggard, contributing to 1.1% of the 11.8% GDP growth. Attitudes like yours do not help. It's time to wake up and smell the coffee. One day, the free money from donors will dry up. What then? Passu sir, I was thinking the same. 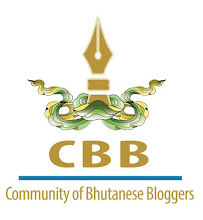 Why is Central Bank of Bhutan silent about the monetary issue? Well, on the other hand, the inflow of too much of Rupee might be a problem to Bhutan. RMA *is* the central bank of Bhutan. In short non-technical terms, Bhutan has been living off borrowed time (and obviously, also a lot of borrowed money). Your country is spending far greater than it earns, banking on the generosity of donors and now very expensive loans. Anonymuse, I am surprised by your knowledge on my country, I bet half men in our Parliament won't know half you know. You know the panic of this crisis is just among a group of people who read and understood the gravity while majority are still sleeping peacefully- and that make us Bhutanese. If problem can be solved why to worry, if it can't be solved what's the use worrying? lol. Seriously, it's a wake up call for my country, we were walking out of our shoes for last many years.It's time to turn back. And I repeat, "People don't worry about their harvest", their harvest is going to fetch good price now. They can only be happier. Can you explain what you mean by "their harvest is going to fetch good price now. They can only be happier." I don't get this statement. I am not saying that Bhutanese are unhappy, but what I disagree with is the rosy picture of blissful farmers with not a care in the world. A farmer's life is a hard life. It's hard in the US, in China, in Japan, and yes even in Bhutan. Check out this blog post http://thanks2happiness.blog.fc2.com/blog-entry-30.html by Takao Takahashi, a chap who's the current Bhutan Prime Minister Fellow in the GNH Commission. About a third down the post, he shares a selection from the results of a 2010 GNH survey by the Centre for Bhutan Studies (the full report, all 496 pages, are at http://www.grossnationalhappiness.com/docs/2010_Results/PDF/National.pdf if you feel inclined). The contrast between rural and urban populations is striking. I leave you to identify who's happier, the average civil servant or the average farmer. With the import of vegetables from India restricted it opens up hundred opportunities for our farmers. Simple example: Some years ago, our local eggs were fetching Nu.60 per dozen but because there was abundance of imported Indian eggs at Nu.24 Business was good at all. One day bird flu struck India and import on eggs was banned, then not only did local eggs sell hot, it also fetched Nu.180. I foresee the same with almost everything now. Coming to happiness- life of a farmer is tiring but not frustrating and stressful. And yes, I remember the bird flu ban very well. I also distinctly remember reading in Kuensel that lower-income families who cannot afford meat regularly also started having problems paying for eggs which was originally a much cheaper form of protein. No one wants to see a replay of the tragedy in Orong. Farmers may well enjoy higher incomes, but I am confident that they too will "enjoy" higher costs. For basic household items like cooking oil, salt, sugar. For seeds, fertiliser, farming equipment, fuel for tractors, etc. I agree there are two sides to every coin and I am sorry I always land up looking at the side you are not looking at. I hope no side is bigger than other. Nothing to be sorry about disagreeing. Imagine how boring the world will be if everyone agreed! I do appreciate the civil level of discussion. I am waiting to see how the government & RMA will handle the problem, and especially the long-term repercussions of their choices. As with most things, time will tell I suppose. For one thing it is good for our Bhutanese but to the contrary it is also bad for Indians who are there in Jiagons coz there is only our Bhutanese who buy from there. If there is strike to the part of India, the shopkeeper of Jiagons are closed due to no customers. No Bhutanese no customers to India,of course there are but not many. Now at this point, Indians should also think that moreover if the Bhutanese is visiting to their shop should sell in low rate not in high rate, as already mentioned that, the purchaser of Indians shop is definitely the Bhutanese. It's up to us now, either we still import paying higher and add to the crisis or control our import, produce ourselves more and let Jaigaon know that they need us more than we need them. Rupee crisis is an eye opener for us. We can deal with it by going green and adopting organic farming. The main export has been electricity by Chukha and Tala Hydropower plant and it has been earning huge amount of rupees. With construction of new power plants, purchase of vehicles and fuel from India, it has led to rupees crisis. What I think is that this trend will continue till our new power plants are constructed. In the nutshell, going green is the only solution. Let us go green. Yes. A very harsh eye opener- almost as tough as beer opener. And you are right about the solution too, thought this may not be the only solution. However, Going green is not about picking up a color, Gayleg, it's about getting too muddy. It's about looking at the farm in whole new ways but there are hardly any people left in the farms. It's time we think of ways to make our villages comfortable and attractive (I don't know how though). The next best thing is banning the import of unnecessary things and things that we can produce ourselves- after all we done lots of Banning already. How Does the Flood Siren Sound?